The PDA is proud to announce that 6 of its players have been invited to join a group of the best female youth soccer players from around the country born in 1994 and 1995, the 2011 ECNL/id2 National Training Camp will take place Feb. 10-13 on the campus of Florida State University in Tallahassee, Fla. 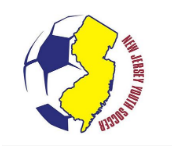 The camp is a joint effort between the Elite Clubs National League’s Player ID Program and US Club Soccer’s id2 national player identification and development program. In addition to six on-field training sessions or games played in front of U.S. National Team staff and a wide range of college coaches, participants will have the opportunity to attend educational presentations. The only cost to players involved is that of travel to and from the National Training Camp. 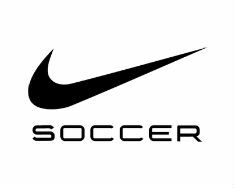 All lodging, meals and training gear are provided by the ECNL, US Club Soccer and Nike. “This camp will once again provide a great opportunity for players from all around the country to come together and perform in front of U.S. Soccer staff and college coaches,” said Rory Dames, US Club Soccer’s id2 Girls’ Program Director. Zoe Clark, Salina Williford and Bridget Skinner of the U16 PDA Celtic are attending the International Event with the Regional 1 team in Brazil from February 19th to the 26th.